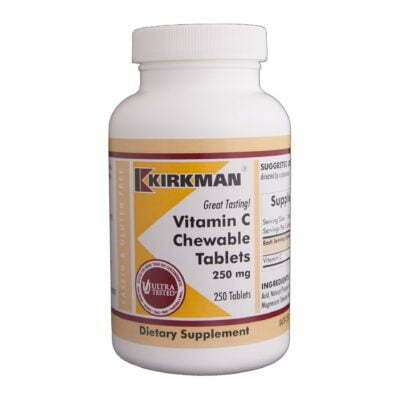 Supports gastrointestinal health. Hypoallergenic. Gluten and casein free. 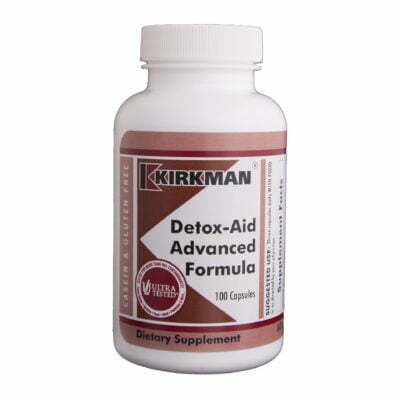 Capsules are plant based. Ultra Tested®. 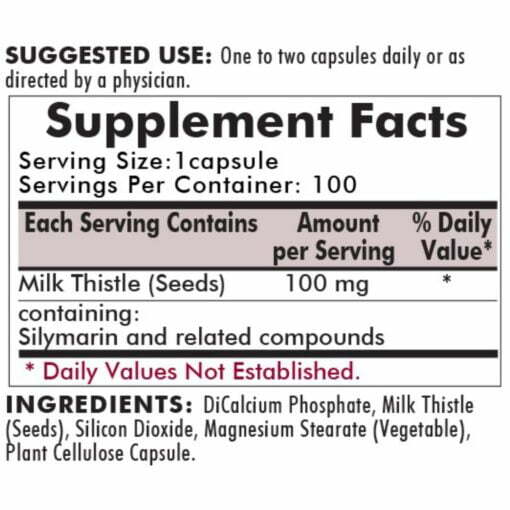 Milk thistle consists of three potent liver protective flavonoids: silybin, silydianin and silychristin. Collectively these are known as silymarin. 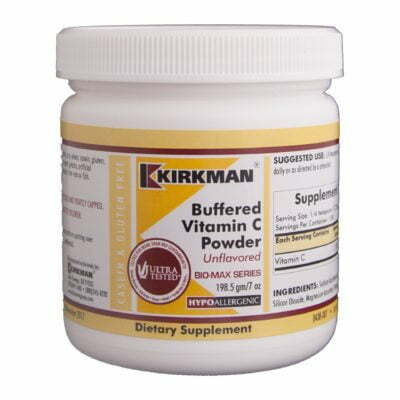 To be effective, milk thistle products must be standardized to contain this active blend. 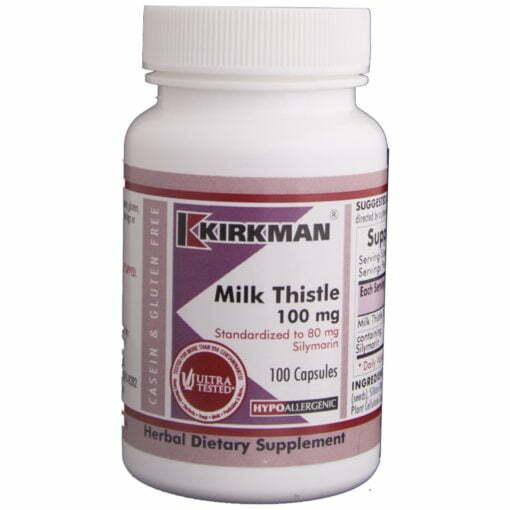 Kirkman’s milk thistle is standardized to contain 80% silymarin. 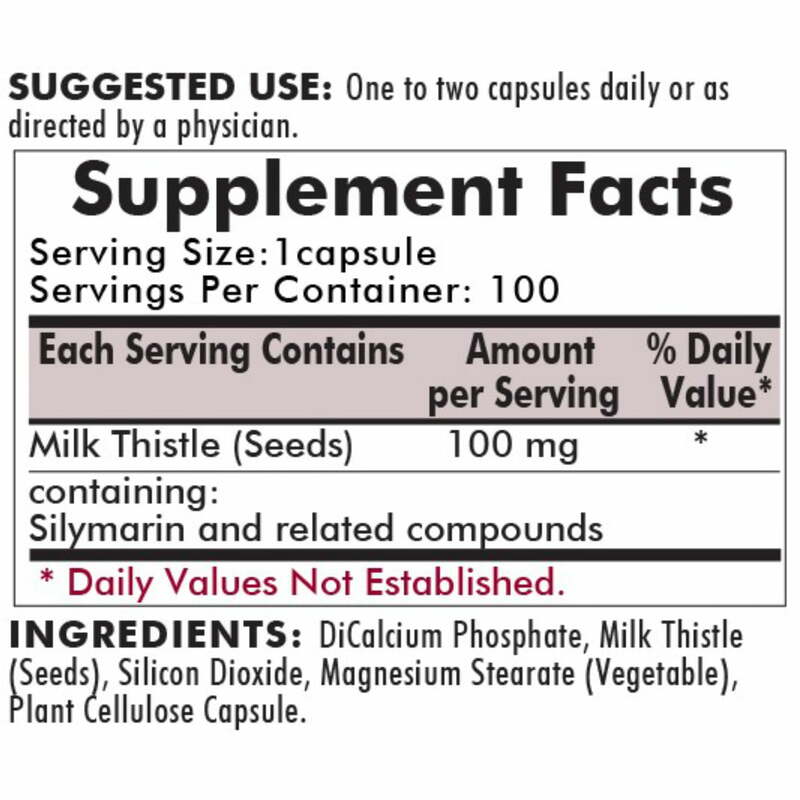 Recent research has indicated that silymarin helps to protect against the depletion of glutathione in liver cells. Free of: Sugar, starch, soy, wheat, casein, gluten, milk, egg, corn, preservatives, yeast, gelatin, flavorings, colorings, peanuts, tree nuts or fish.